Rescue teams thrashed through dense forest hundreds of metres above a cave complex on Friday, searching for an alternative way to extract 12 boys and their soccer coach trapped inside for nearly two weeks. Their work above the Tham Luang cave near Thailand's northern border with Myanmar took on added urgency as forecasts for rain threatened a plan to bring the boys back through cramped, water-logged passageways to the cave entrance. "We want to find the way down. I believe we are close," Thanes Weerasiri, president of the Engineering Institute of Thailand, told Reuters at a makeshift camp for volunteers and media near the cave. Helicopters buzzed overhead before flying to the dense blanket of green hills above the cave to help look for an alternate extraction route. Rescue efforts since British divers found the team on Monday have focused on draining the flooded cave and teaching the boys "some of whom are as young as 11 and not competent swimmers" to attempt dives that would challenge expert cavers. The death of a former Thai Navy SEAL working in the flooded cave on Friday has shaken the rescue mission, and forecasts for more rain could undermine the draining of the cave, forcing officials to consider other options. Thanes' engineers are working with the army to explore an area they believe to be the back end of the cave, chiselling away fragile limestone rocks that he said could be just hundreds of metres from where the boys are trapped. "Originally we were exploring it as a way to bring supplies to the children from the back end of the cave, but now it could become more," said Thanes. 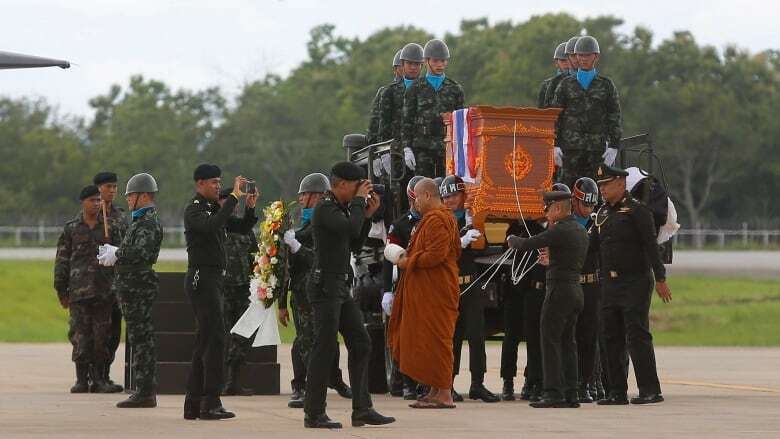 Chalongchai Chaiyakum, a senior Thai army officer, said that one team travelled some 300 metres down a shaft on the hill on Thursday until they reached a dead end. He said that up to 200 people are exploring the hill to try to find a workable shaft. 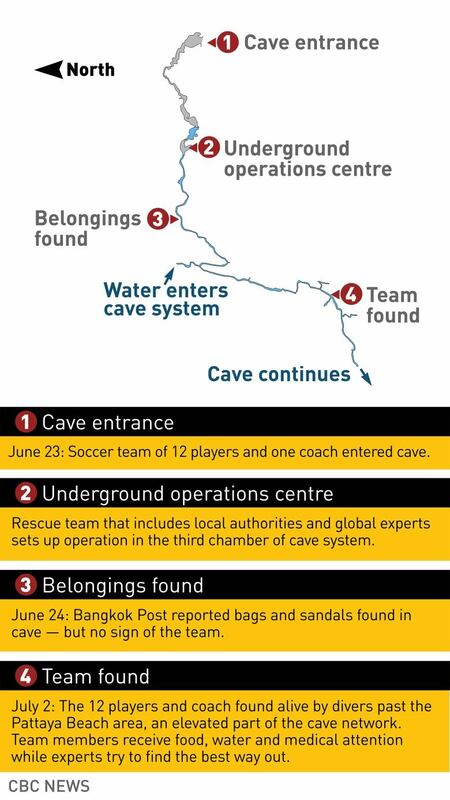 The muddy bank where the boys are stranded is some 4 kilometres from the front entrance of the cave, with sections of the final 1.7-kilometre stretch completely underwater. Drilling down raises concerns that parts of the cave could collapse on the boys. Efforts to widen diving channels, have raised similar fears about blocking narrow passageways and hemming the team in. Billionaire entrepreneur Elon Musk tweeted on Friday that engineers from his firms — SpaceX and The Boring Company — were heading to Thailand to see if they could assist the rescue. The firms have "advance ground penetrating radar" that is "pretty good at digging holes" or technology that could "create an air tunnel underwater" for the children to traverse, Musk said earlier. The Thai government said Musk's team could help the rescue operation with location tracking, water pumping or battery power. "I'm worried … he has never dived," said Somboon Kaewwongwan, the father of a 16-year-old boy trapped in the cave.